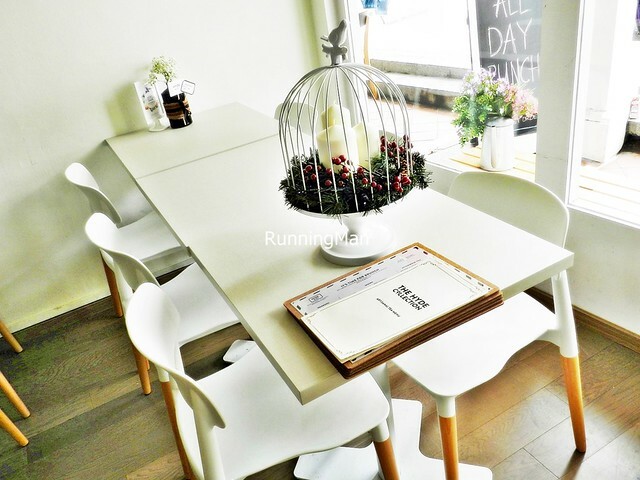 The rather quaint Hyde & Co., which opened in November 2014, has a rustic British English countryside cottage charm. 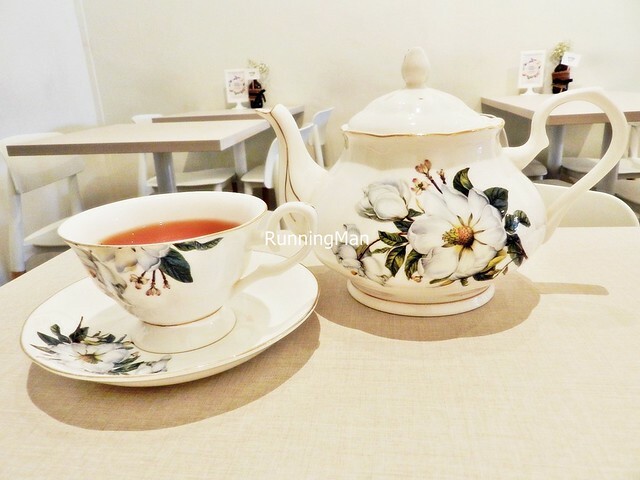 They've since become popular for their high tea, with an extensive selection of over 45 types of tea, scones, crumpets, and brunch offerings. 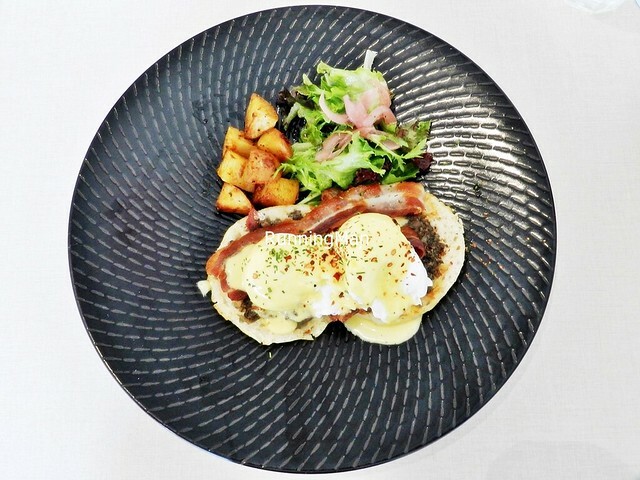 On their 1st year anniversary, Hyde & Co. owner Derrick Chew is launching a new dinner menu! 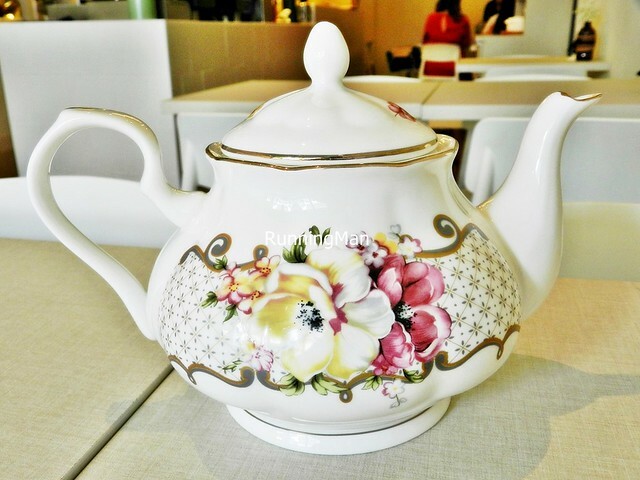 Ambience at Hyde & Co. resembles a British English tea room. 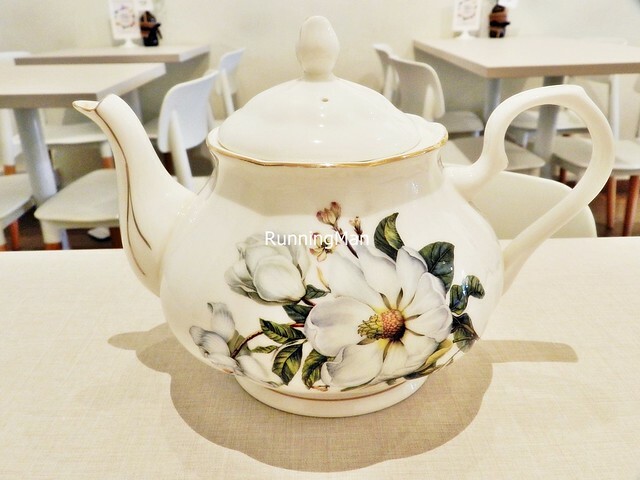 With white walls, rustic wooden furniture, fine English teapots and plates, faux green shrubs, and little potted plants, Hyde & Co. has an quaint, comforting atmosphere. Natural lighting during the day streams in through the large window in front, while warm ambient lighting illuminates the place at night. 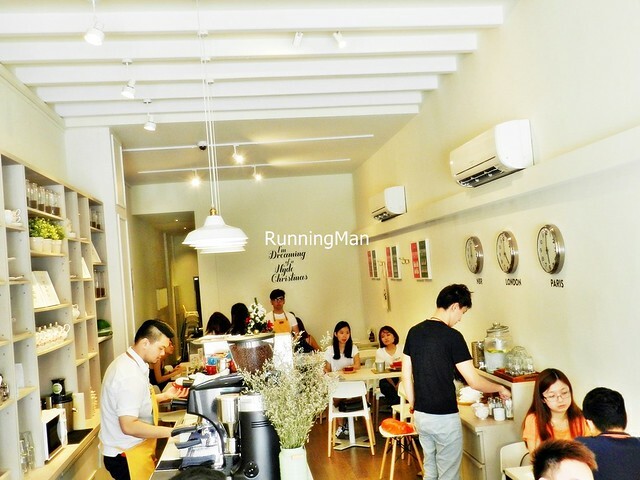 Great place for chilling and lingering over meals! 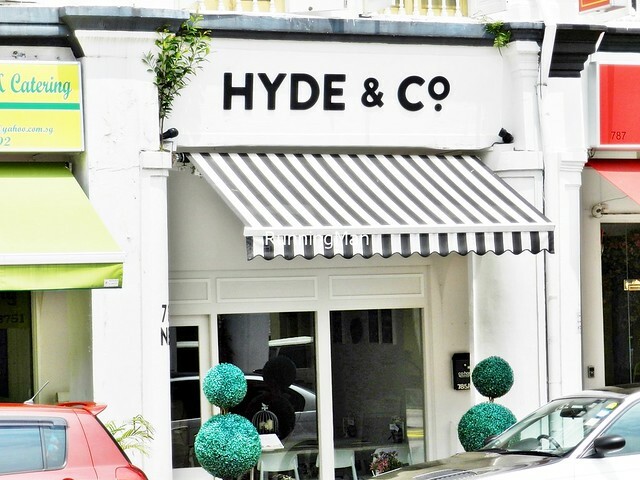 Service at Hyde & Co. is partial self-service, with ordering and payment over the counter, though staff will serve orders to your table. 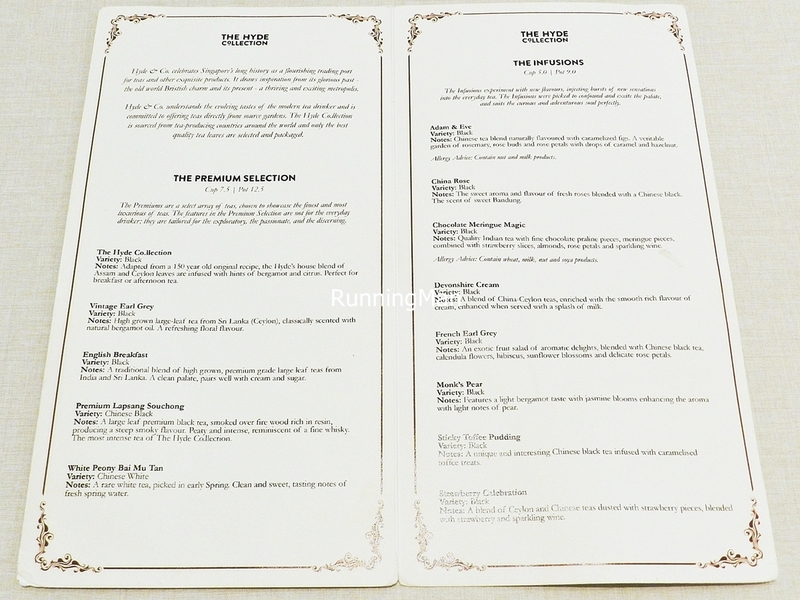 The menu has ample descriptions of each dish, so the only interaction with staff happens if you have a special change request, which they'll normally accomodate. They do have basic product knowledge if questioned, it's just that the counter is rather cramped, so you'll naturally limit interaction. Otherwise, rather forgettable service overall. 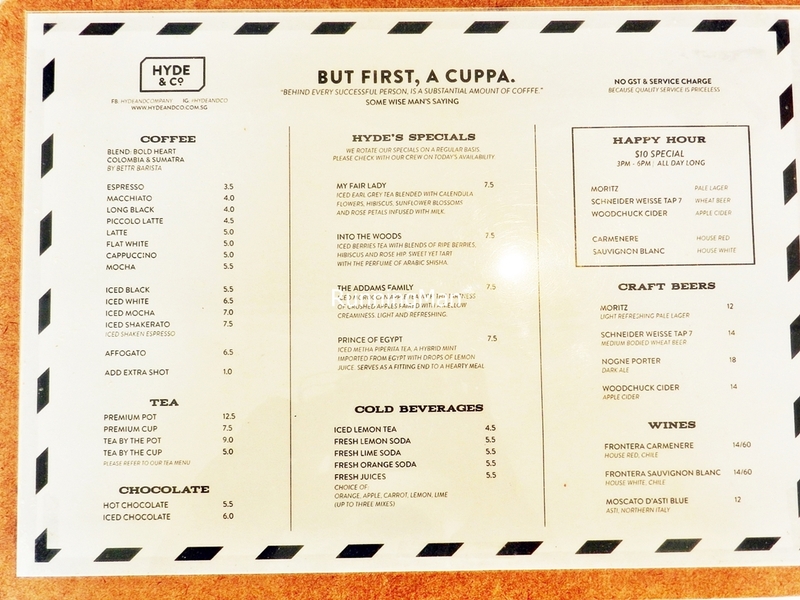 Food at Hyde & Co. is British English fare, and more. 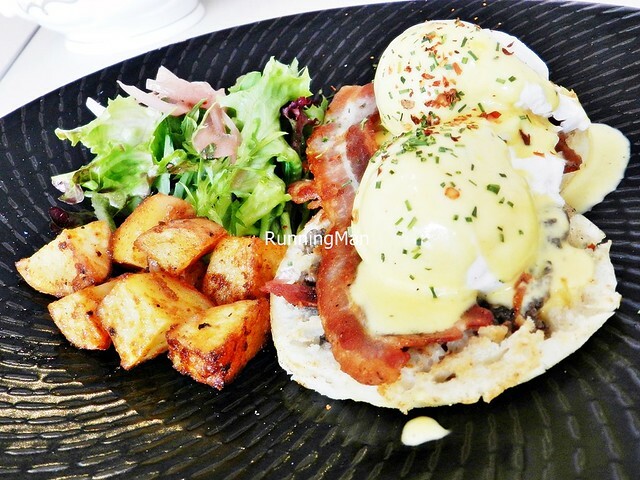 Typical breakfast / brunch favourites feature on the menu, several are given an Asian twist. Generally, I find food here to be average to above average in taste, with portions nicely sized for individuals. They also have pretty good desserts here. 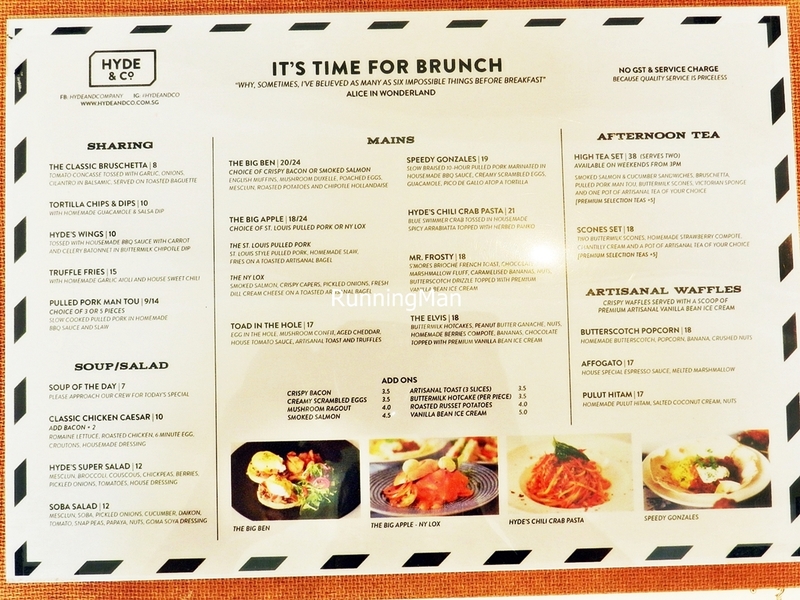 Prices are reflective of a typical high-end cafe, budget about SGD $28 per person for a meal at Hyde & Co., and I feel it's worth visiting. While the floor space is small, at least it's pretty, and nicely decorated. Very quaint, countryside, cottage home vibe, lending a relaxing, comforting feeling. Great for lingering meals and laughter! 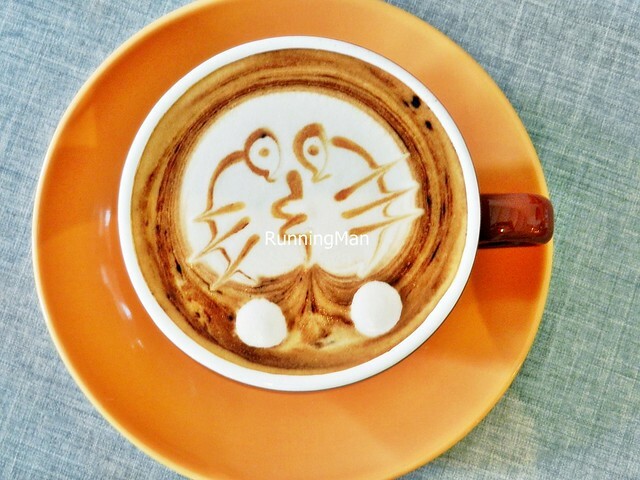 Got some very pretty and creative coffee art from the barista, upon request! 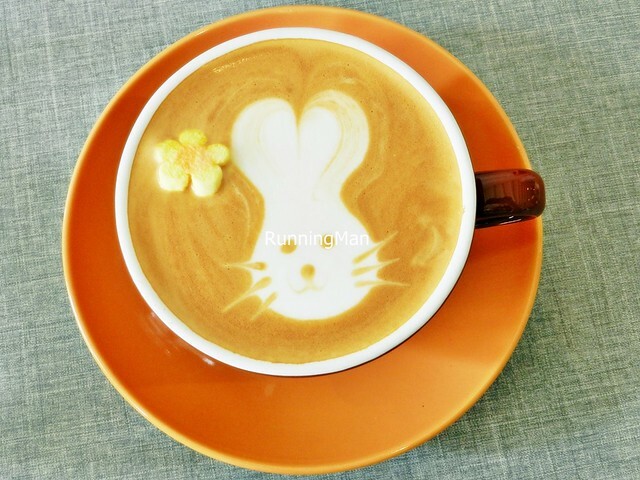 As for the taste, the Latte (SGD $5) is decently strong, with a smooth, fragrant body. The Piccolo Latte (SGD $4.50) is only slightly stronger, though it's not the best I've had, again quite decent. The Mocha (SGD $5.50) is about average as well, decent chocolate taste, though not as thick as I like. 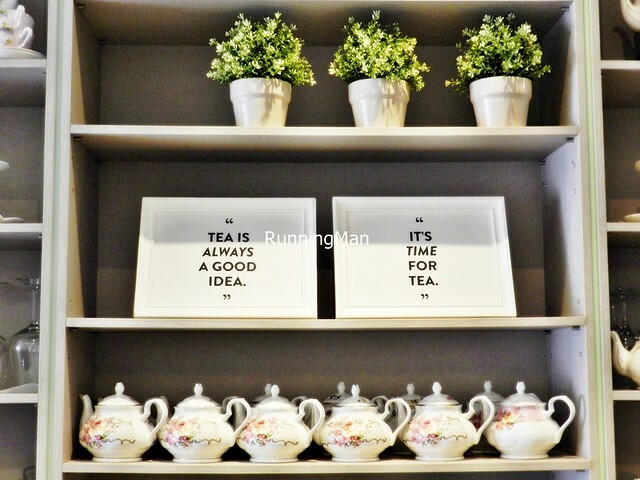 This isn't a great coffee place, their artisinal teas are much better. 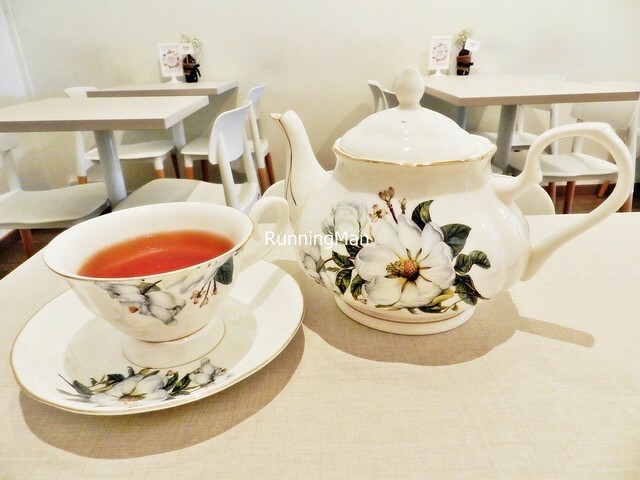 Channeling the spirit of Singapore's British English colonial past, the artisanal selection of teas here are a fine blend. 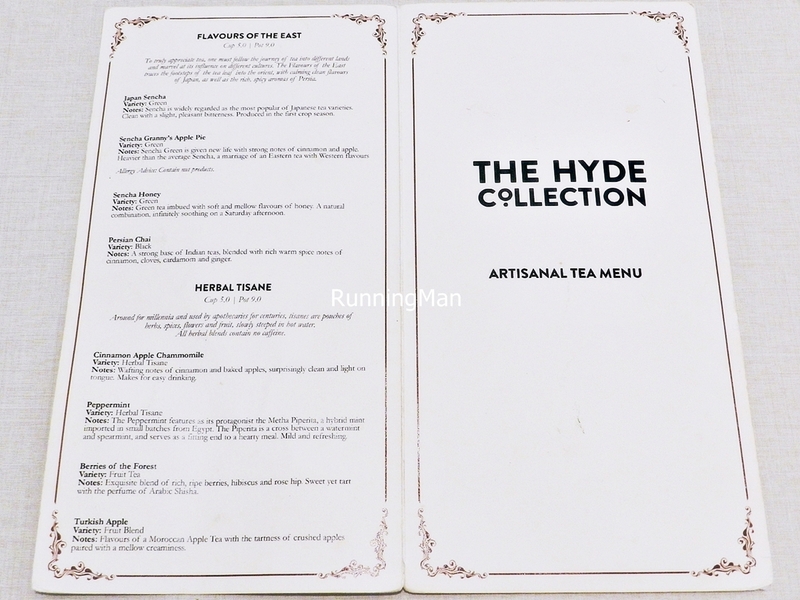 Created for the passionate, bold, explorers, the Tea The Hyde Co.llection (SGD $12.50) is a black tea adapted from a 150 year old recipe, a blend of assam tea leaves and ceylon tea leaves, infused with hints of citrus and bergamot. Smooth, rich, strong, with a slight spice taste, fragrant and calming. 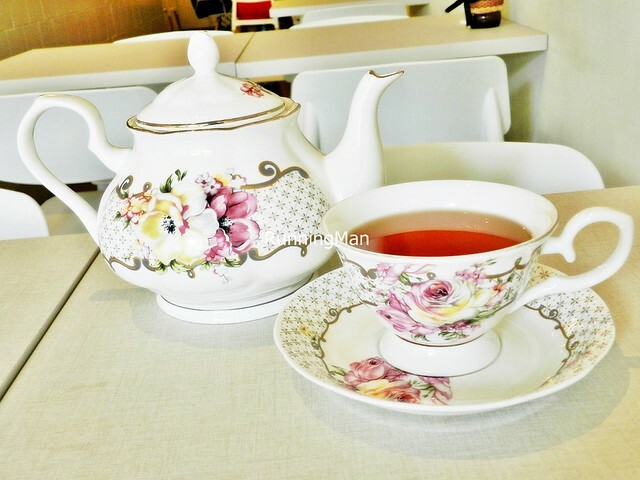 Great as a daytime tea! Highly recommended! 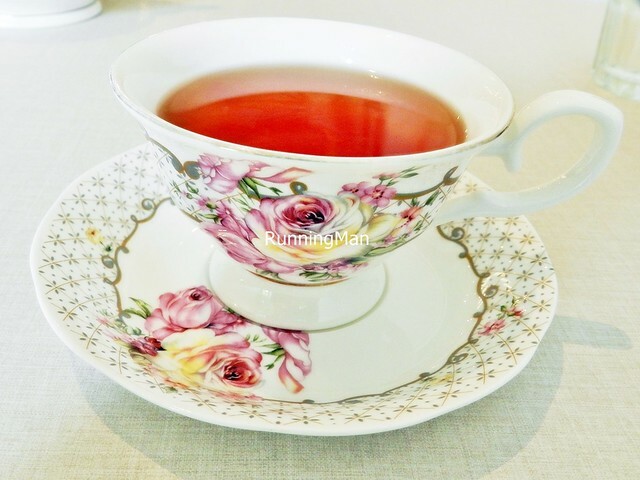 "A Spot Of Tea?" "Why Yes, Thank You Good Sir!" Chocolate and tea? Well, chocolate is supposed to make things taste better, so how bad could it be? I commend the bold experiment of the Tea Chocolate Meringue Magic (SGD $9.50), a madcap mix of quality Indian tea leaves with chocolate praline, meringue, strawberry, almonds, rose petals, and sparkling wine. 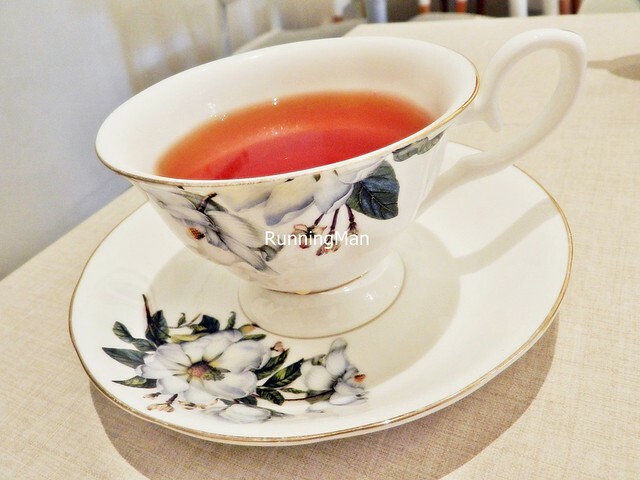 The result is a floral, drinkable infusion, with aroma of fruits and flowers, notes of chocolate, followed by tea. This complex blend doesn't sit too well on the palate, the flavour clashes, with fruity, sour, sweet, bitter, and earthy tastes. Odd beverage, and I think it may not appeal to everyone. 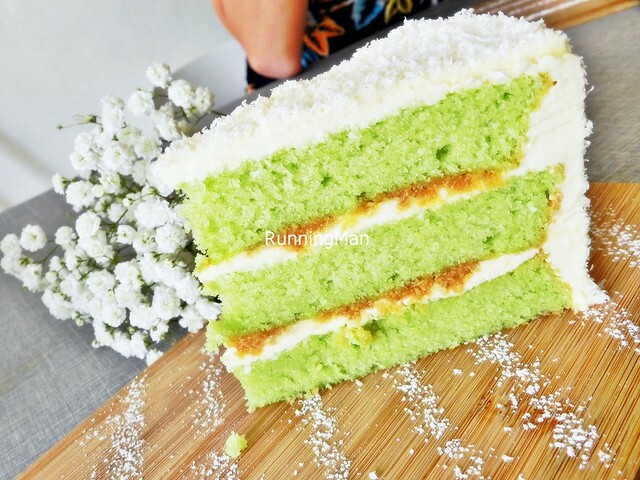 Loved the moist, soft texture of the Ondeh-Ondeh Cake (SGD $7.90), which features a pandan / screwpine leaf flavoured sponge cake, layered with sweet gula melaka / palm sugar infused desiccated coconut, topped with salted coconut buttercream and desiccated coconut. 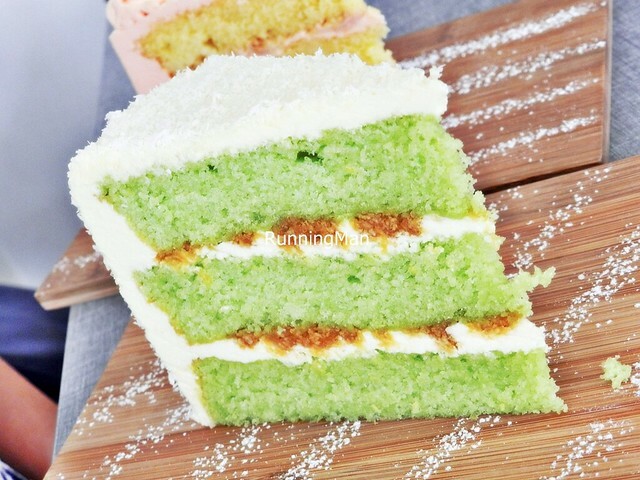 Looks sweet but isn't overly so, this cake is wonderfully light and totally delicious! Creative modern fusion cake, highly recommended! 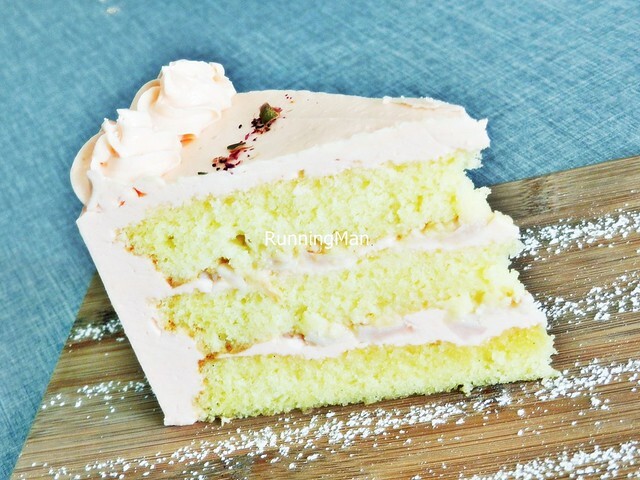 Thought the Lychee Rose Cake (SGD $7.90) was pretty good, with its soft vanilla sponge cake texture, and sweet, fruity flavours of lychee and rose infused buttercream, with chunks of lychee fruit within. 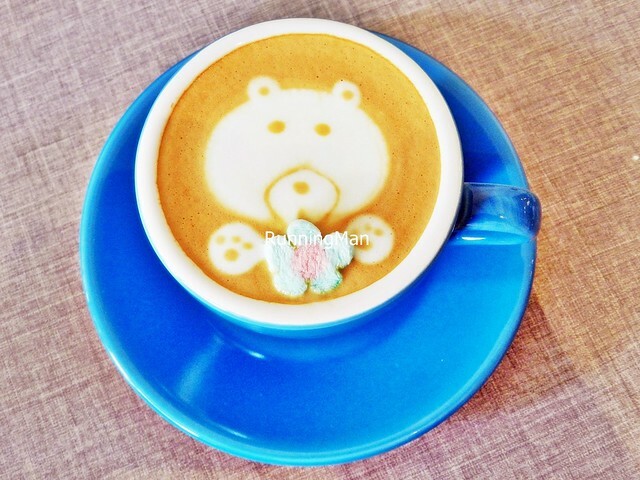 I did think the cream was a little too thick, but the flavours are pretty solid... and it's also pretty to look at! 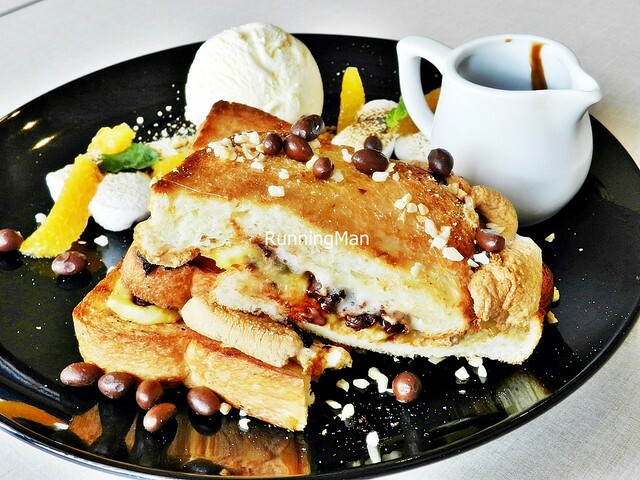 Images of a magical snowman come to life might be invoked through the Mr. Frosty (SGD $18), a decadent sweet breakfast dish of s'more brioche toast. 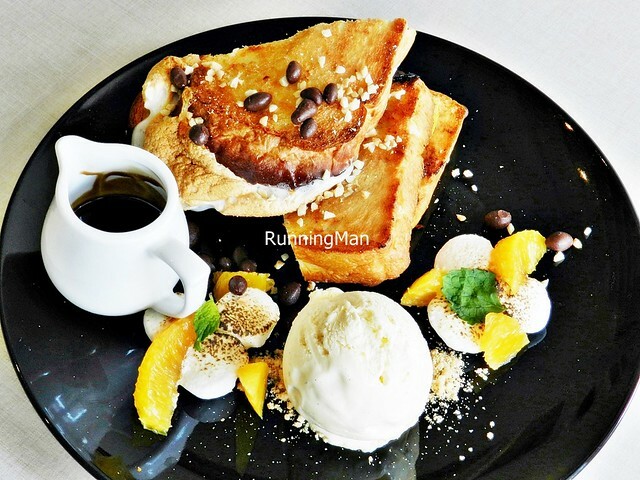 With warm, crisp bread, gooey marshmallow fluff, chocolate nuggets, graham cracker crumbs, sliced oranges, caramelised banana, crushed peanuts, and butterscotch drizzled over rich vanilla bean ice cream, this is a filling dish for those with a sweet tooth! 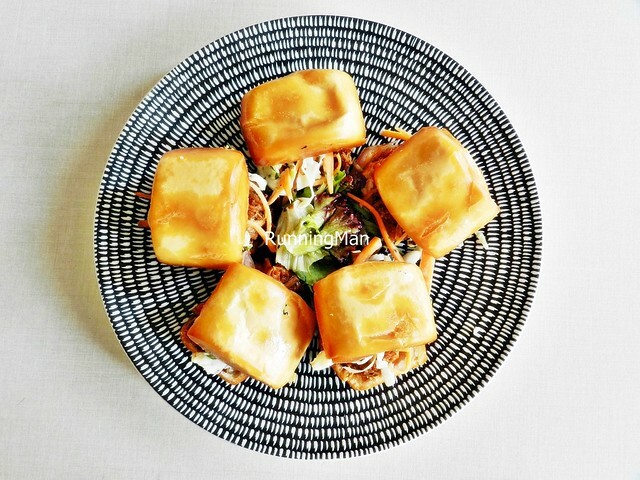 Comfort on a plate! 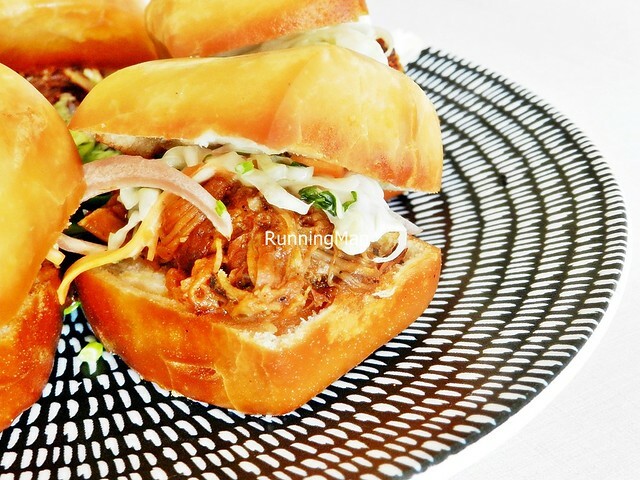 The pulled pork are a speciality of the place, and feature in a few dishes here, like the Pulled Pork Man Tou (SGD $14). 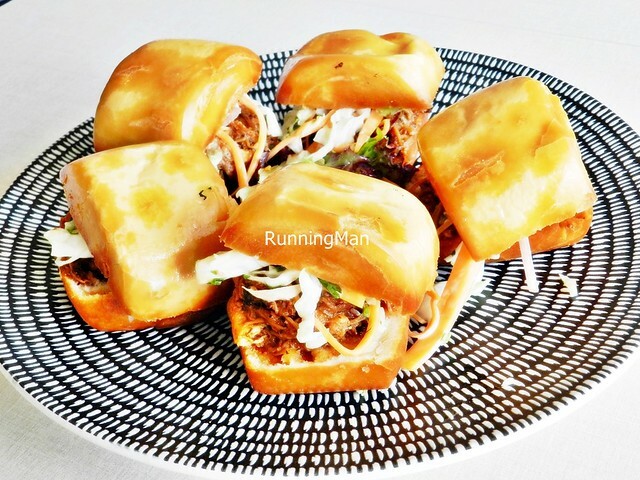 Tender, juicy, marinated shreds of pulled pork, slow cooked for hours, coated in a home made barbecue sauce, sandwiched along with crunchy, fresh coleslaw in a fried mantou bun. Like a fusion slider! While the texture was great, I felt the sauce was a little too sweet, cancelling out the nice, savoury taste of the meat, knocking this great dish down into the decent category. 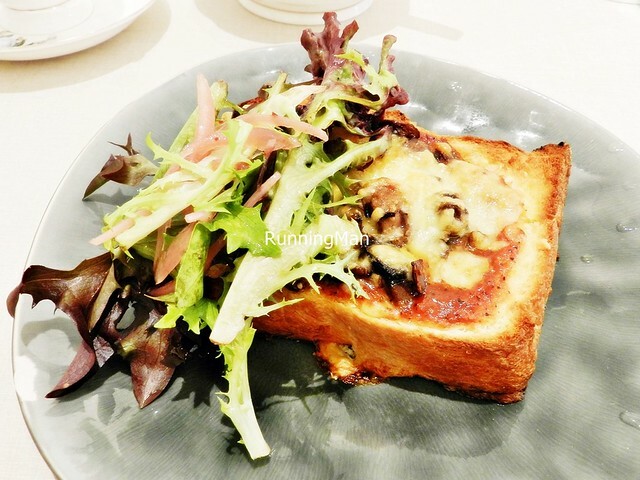 The Toad In The Hole (SGD $17) here differs greatly from the traditional British English savoury dish, which consists of sausages in a Yorkshire pudding batter, along with root vegetables, potatoes, and onion gravy. 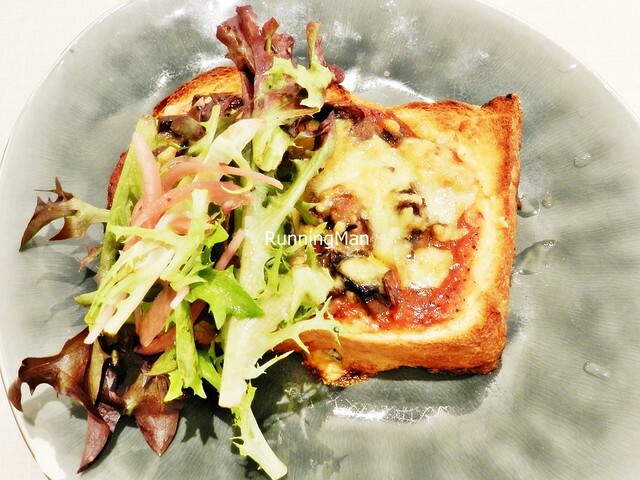 Similar only in spirit and name, the version here consists of 2 eggs with perfect runny yolks, within a crisp brioche toast, topped with a savoury mushroom confit, yummy house tomato gravy, fresh garden salad of wild rocket leaves / arugula, and coated in gooey aged cheddar cheese and a small amount of truffles. Decadent and rich, cutting into this is like digging for liquid gold of the egg yolk, which oozes out sexily. Good! 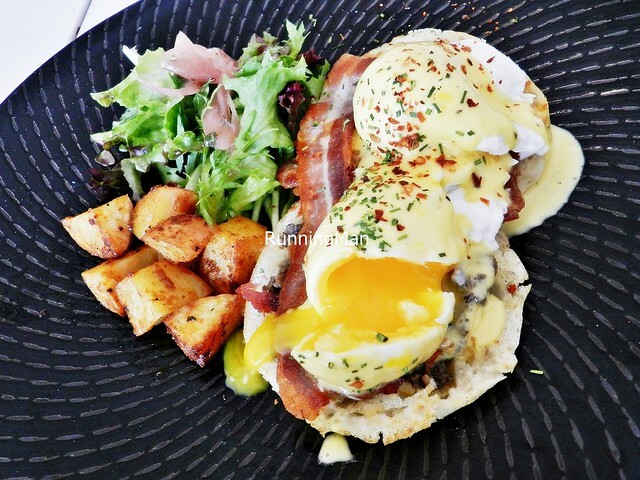 The so very British English dish, The Big Ben (SGD $20), features poached, runny eggs, on nicely toasted English muffins coated with earthy mushroom duxelles, drizzled with a forgettable chipotle hollandaise sauce, served with fresh mesclun salad, and delicious roasted potatoes. 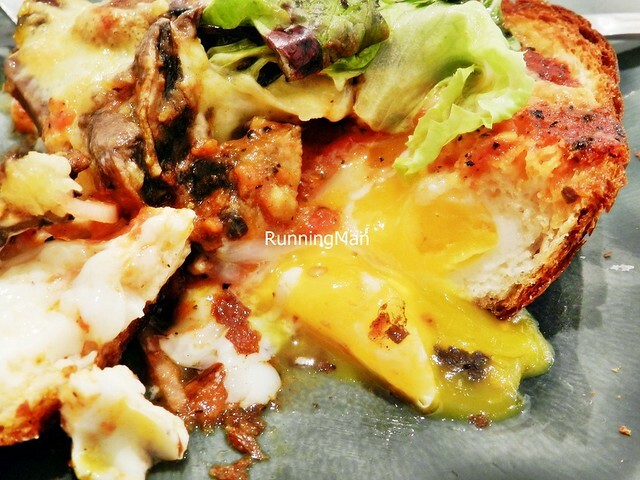 The eggs were poached a little too long, turning semi-solid within, though the majority of the egg yolk was still runny. A straight forward dish, no frills, and in the larger scheme of things, only about average.